Fight for what you Love. Karma is Much more powerful than we think. Bad ones get into the pants, whereas the good ones get friend-zoned.Bad ones have a blast and the good ones suffer.Bad boys take it all, while Nice Men Finish Last.Nandu pays an unfair price for being nice; he is dumped by his girlfriend.Depressed by the brutal break-up, he follows in the footsteps of his womanizer friend Sattu, who firmly believes that nothing good ever happens to a nice man.Duly brainwashed to shed his lovelorn avatar, along with the skin of the nice man, Nandu gets a character reboot. Things change rapidly, as he uses lies and all the unfair means to score girls. It works wonders for him till he realizes how powerful karma is. 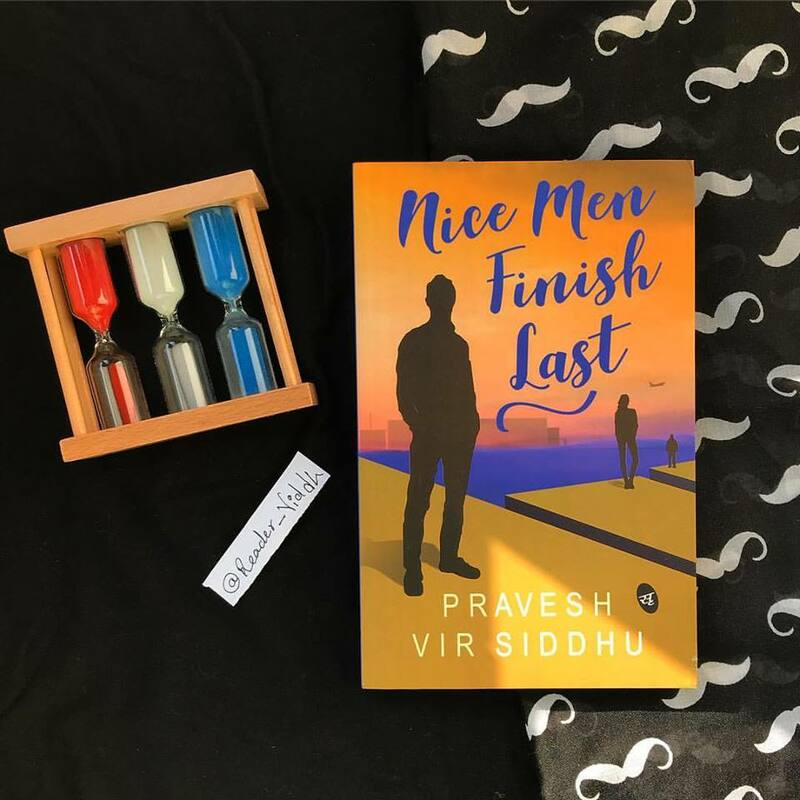 That makes him come out of this transitional filthy state, choosing to become a nice man again.That’s when he falls in love with Tanishq – a beautiful dentistry student.Will he be able to win her heart being a nice man or do nice men really always finish last. The story is based on Nandu who is trying to join the puzzles of his life. It revolves around his college life in the start where his girlfriend breaks up with him, their relation of 5 years. Nandu who believed Nice men don’t deserve such treatment. He was then influenced by Sattu his friend who told him Nice men always finish last, and was successful in making him a bad jerk who chased girls. After his graduation, he became serious about his career and was again focusing in shaping his life. He got his first job as a lecturer where he met Tanishq. The love of his life. He loved Tanishq to the core and/ one fine day she left him. To divert his mind, he applied for further studies in Canada. And like an angel, she was back in his life. will this long distance relationship last? will they survive with the time difference, career, and everything? The story in starting is not so interesting, It gets interesting from the middle where Nandu gets his job and he meets Tanishq. The story revolves around the theme of “Girls never respect a nice guy efforts and falls for a bad guy, ignoring the one who loves them truly”. In today’s world, it’s actually true as this generation never respect feelings. The author succeeded in giving Mantra of never give up on things that you love. The writing style was good and so was the pace, simple language make reading interesting. the story is worth readable from the middle. It’s all about Romance, friendship, College Life and Love. It shows how karma works at his own time and serves you what you deserve. I liked this light read and would recommend everyone to read. Nice review. I hope to get this book and place order for it.